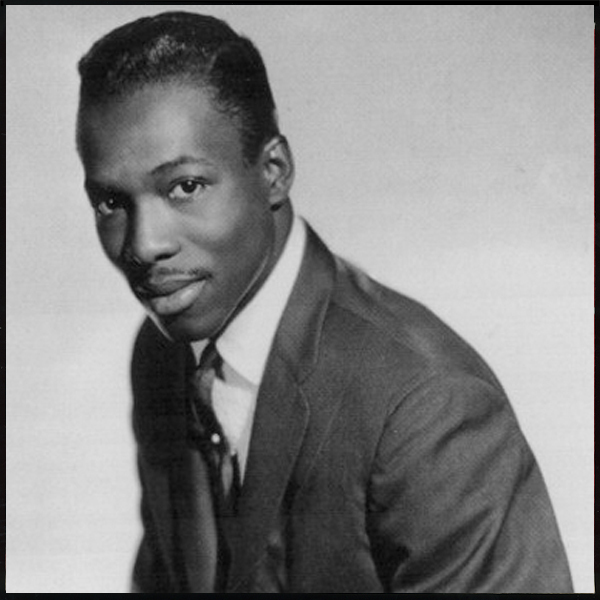 This has to be my favourite track from Alabama soul whiz, Wilson Pickett. 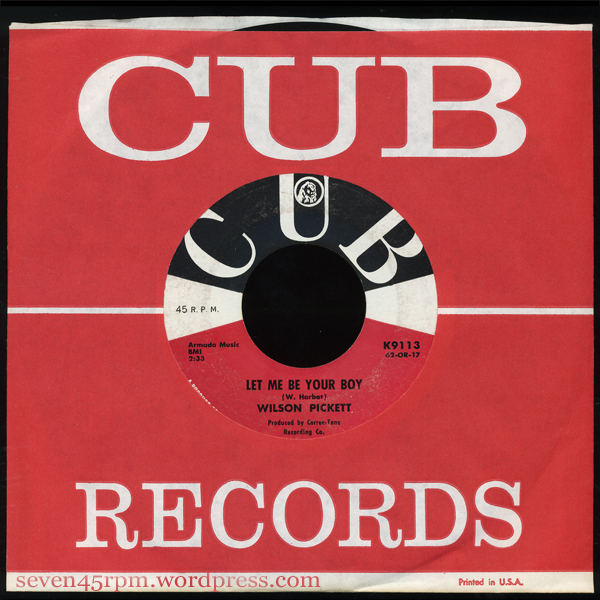 Released in March 1962, after departing from his former vocal group The Falcons (fellow band members included Bonnie Mack Rice, Eddie Floyd and Joe Stubbs) to pursue a solo career, it seems that this song didn’t reach the success it well and truly deserved! Research is telling me that this was the one and only recording he did with CORREC-TONE, but the track was also picked up that same year by (independent) CUB Records of New York. 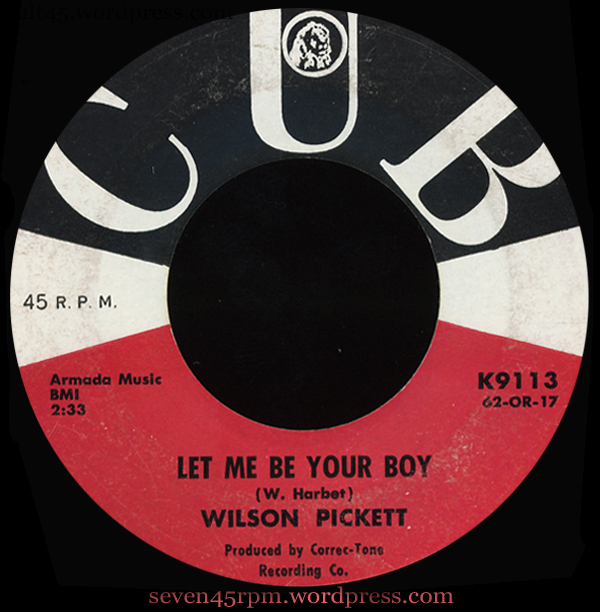 Pickett wrote the sweet flip “My Heart Belongs To You”, however the studio’s keyboardist Wilbert Harbert penned the electrifying A-side, “Let Me Be Your Boy”, while Sonny Sanders and Robert Bateman oversaw the sessions. 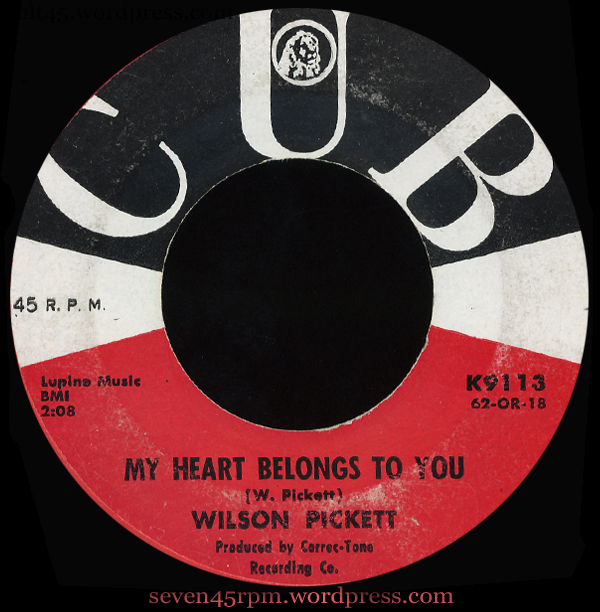 Pickett’s CORREC-TONE and CUB experience was short lived, moving on a few years later to Atlantic Records, where history was made with huge successful hits such as Mustang Sally, Land of 1000 Dances and so many more. There were two re-releases of this recording a few years later on M.G.M (UK-1965) and also on Verve, (www.45cat.com) and I’m guessing sparked on as a “cash in”, due to his success with the hit “In The Midnight Hour” that same year. There also seems to be a Spanish EMI-Verve picture sleeve out there. Pickett must have been around 21 at this time, and the maturity in his technique and the overall song composition is truly astounding and obviously ahead of it’s time. The blue beat-ska rhythm and dynamics here, is what really made me fall so in love with this track. That, along with the upbeat tempo, and of course those familiar and incredible backing vocals by none other than The Supremes (aka The Primettes) makes it a dance floor filler! I have the beautiful deep red Cub issue, which doesn’t seem to surface very often, and would love to know any other artist’s involvement with this recording!